We had a very nice stay. 2 weeks at the end of September. A well-kept garden and terrace with barbecue grill, garden furniture and sunloungers. The apartment was quite big, bright and clean. The bay in Arenal D'en Castell with a fine sandy beach was one of the best we saw on Menorca. We always had quick feedback from the apartment proprietor from the beginning to the end. Thank you for nice holidays. Schön gelegen auf einem Hügel!!!! Wir waren als Familie in dieser Unterkunft und waren sehr zufrieden. Die Appartment-Anlage ist sehr gepflegt (einschl. der Pool). Man kann sich sehr gut entspannen und hat absolut seine Ruhe. Die Wohnung ist sehr groß und gut ausgestattet. Der Garten ist vor der Wohnung sehr schön. Es gibt Stühle und Liegen. Wir würden nur einen halben Punkt Abzug geben für den Herd (dieser müsste dringend ausgetauscht werden, da es auf allen Kochplatten lange dauert ein Gericht zu machen. Sehr angenehm war allerdings, dass man Grillen konnte. Ein Supermarkt und Bäcker ist in Laufnähe, zum Strand läuft man ca. 20 Minuten. Die Ausgangslage ist prima, um die Insel zu erkunden. Danke für die nette Rezension. Wir denken an eine Verjüngung über den Winter des Innenraums und werden Ihre Punkte bezüglich des Ofens berücksichtigen. Thank you for the kind review. We are thinking of a rejuvenation over the winter of the interior and will take into account your points regarding the stove. Appartamento molto carino, confortevole e spazioso, bello il giardino e molto gradita la presenza della piscina nel complesso residenziale. L'appartamento si trova in una zona residenziale bella e molto tranquilla. Spiaggia di Arenal d'en Castel e Son Park a 5 minuti di macchina. Luogo perfetto sia per una vacanza di coppia che in famiglia!! Grazie mille e sono felice che tu abbia gradito la tua vacanza a Minorca. Really great apartment, everything that we needed and more, views from the terrace and pool area where great, peaceful neighbourhood !! we loved the layout as you could find sun or shade whatever the time of day, we did not hire a car as we like to walk and this location suited us perfectly, thank you for providing a great base to enable us to have a wonderful holiday. Thank you George. We are glad you enjoyed the island and our apartment. 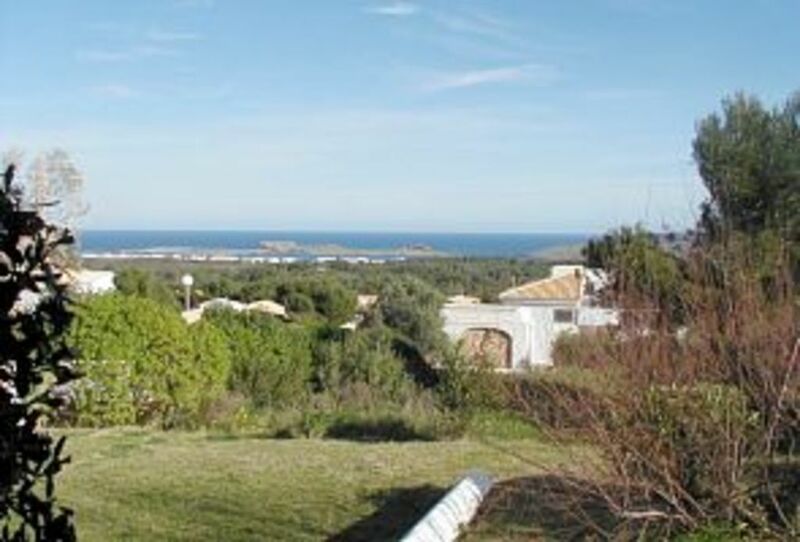 Glad you enjoyed your stay on Menorca!